Wine of France. Suitable for Vegetarians. Suitable for Vegans. Laurent Miquel is a young vigneron specialised in the production of Viognier wines in the south of France. He picks his grapes during the night when cooler temperatures ensure the delicate Viognier fruit is in top condition. Immediate pressing of the grapes ensures a delicious white wine that is crisp, balanced and aromatic. 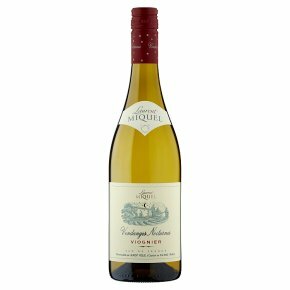 Delicate perfumes of ripe apricot, pear and honeysuckle make this an ideal wine for an aperitif. Also delicious served with seafood dishes such as steamed sea bass, grilled prawns or Thai spiced crabcakes.